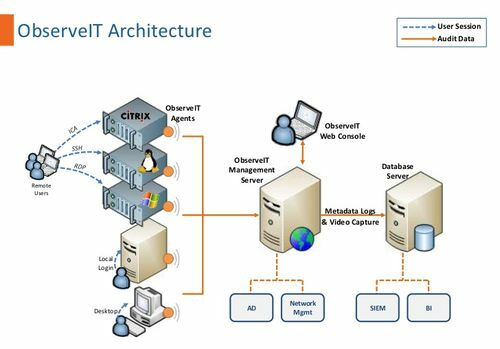 ObserveIT is the leader in user behavior analytics for insider threat detection and enables companies to mitigate the risk of insider threats from business users, privileged users, and third-party contractors. ObserveIT records, monitors, and analyses user behavior across the entire enterprise down to the application field level with zero operational impact. Analytics and scoring identify users who represent the greatest risk, enabling security teams to respond before the business is impacted. 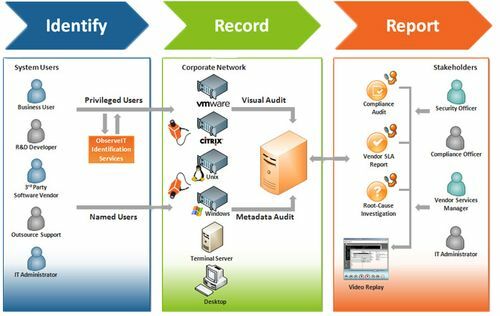 Our granular user activity metadata provide a detailed audit trail of all user behavior to streamline investigations and audits. ObserveIT, the leader in user behavior analytics for insider threat detection, has been recognized by Gartner as a “Representative Vendor” in its 2015 Market Guide for User and Entity Behavior Analytics (UEBA). ObserveIT is trusted by over 1,200 customers in 70 countries across all verticals. 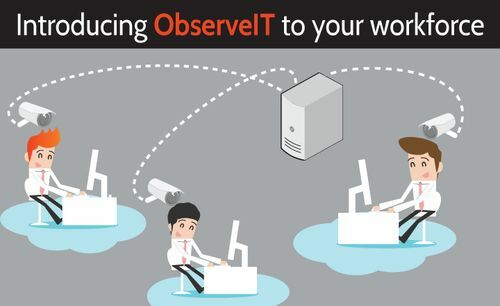 ObserveIT monitors employee behavior across the enterprise. By analyzing and scoring behavior, ObserveIT quickly identifies who is putting your company at risk. 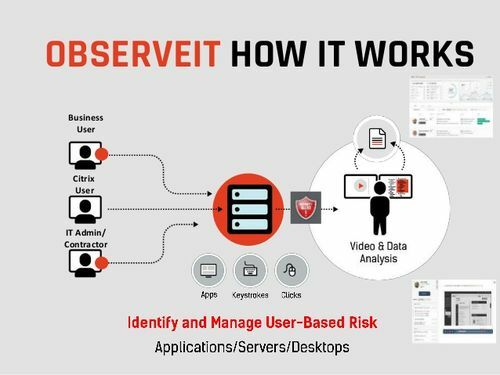 ObserveIT determines intent of high risk activity with a real-time view of activities and forensic recordings. 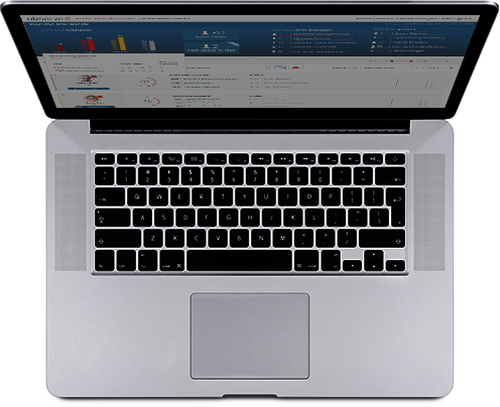 By mitigating insider threats and cutting the number of security incidents in half, ObserveIT delivers an instant ROI. 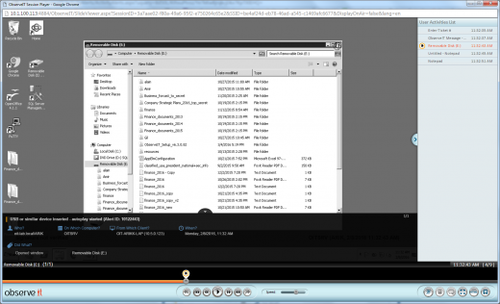 policy enforcement and dynamic forensic recording. Know who’s doing what with confidence. Monitoring that’s self-evident and uniquely focused on the user. Capturing propriety metadata from user endpoints, adds behavioral context. Therefore, ObserveIT can assess if users are operating negligently or maliciously. Nothing slips through the cracks because you’re focused on user behavior, not log files. See who’s putting you at risk in minutes. Identify who your insider threats are and how they’re putting the company at risk. 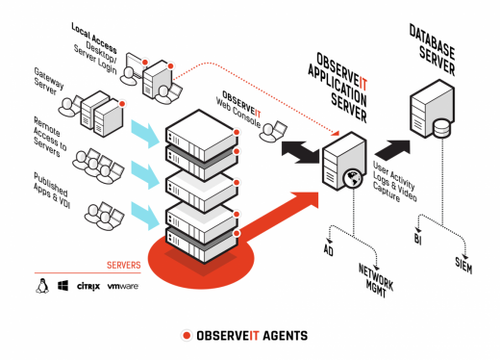 ObserveIT has packaged analytics for thousands of known risks, so it instantly detects known patterns of malicious activity at their earliest stage. Change employee behavior across enterprise. Educate employees by informing them of the correct security policy at the time of policy violation. 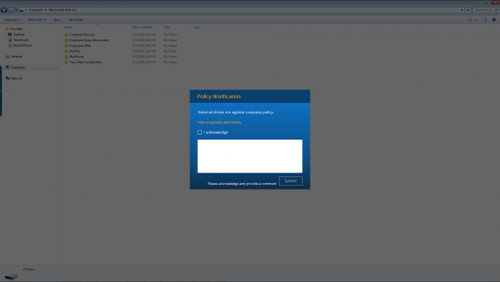 ObserveIT allows you to centrally manage and enforce security policies through real-time user notifications. You can understand who violates policy and block users who perform malicious activity. Determine intent of high risk activity. Determine intent of high risk activity with irrefutable forensic evidence. When a user is becoming risky, ObserveIT automatically collects screen captures for every mouse click and keystroke, creating a video playback. You’re able to understand malicious intent and distinguish abusive behavior from normal activity. ObserveIT can be deployed in under one hour. *These sizing specs are based on a multiple site, metadata only deployment. Sizing values may vary based on needs. DO YOU KNOW WHICH EMPLOYEES ARE PUTTING YOUR COMPANY AT RISK? Are employees abusing privileges? Are partners misusing corporate resources? 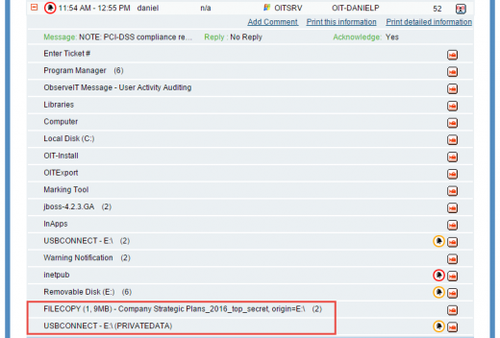 Are employees accidently leaking data? Are employees taking data when they leave? Is fraud going unnoticed? Are employees bypassing security?